SAS CoolSTEP™ foot bed combined with a perforated design on the upper makes VTO a great Medicare and Diabetic approved shoe with enough ventilation to prevent heat under foot. SAS odor-resistant Tripad® Technology lend additional support to the three primary pressure points of the foot. Added-depth allows plenty of room for the toes to spread out, and SAS EZ Strap™ allows a custom fit. Experience the support of VTO. Designed to fit and follow the shape of your foot and made on an exclusive SAS Walking Shoe Last. 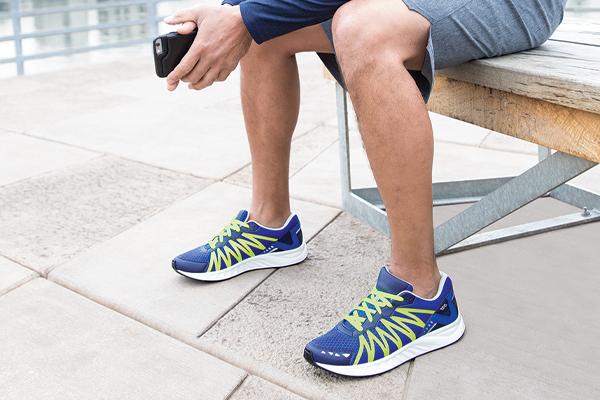 SAS Tripad™ Technology give all-day comfort. Initial fit should be wide enough to stay very comfortable across the ball of the foot yet roomy enough in the front so the toes are not cramped. The heel should be snug and should not slip while walking. Extra Toe Room and Added-Depth™: These shoes are designed to have plenty of toe room and Added-Depth™ in the forepart of the shoe to provide all day comfort. SAS EZ Strap™: This adjustable strap allows you to customize the feel of the sandal to your foot. By incorporating a sliding strap and elastic buckle together, our EZ Strap™ ensures a comfortable yet secure fit.